LALIVE is pleased to announce the promotion of Noradèle Radjai to partner of the firm as of 1 January 2012. 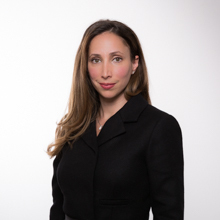 Ms Radjai, a dual British-Lebanese national, joined the firm’s international arbitration group in 2007 and is based in the Geneva office. Ms Radjai’s promotion was reported in Global Arbitration Review Briefing on 10 January 2012 and commented upon by several leading arbitration practitioners (Read more). Ms Radjai, a solicitor-advocate of the Supreme Court of England and Wales, specialises in commercial and investment treaty arbitration in a range of sectors, including energy, construction and telecommunications. She has acted as counsel and arbitrator in numerous arbitrations world-wide, under most of the major arbitration rules. She is currently acting as counsel in several of the firm’s largest cases including several multi-billion gas pricing disputes and a USD 700 million construction dispute in the Middle East. She also recently represented a European multinational against one of the world’s leading mobile telephone manufacturers in a USD 115 million ICC arbitration. LALIVE’s international arbitration group is now comprised of nine partners, two counsel and 14 associates, currently handling over 100 international arbitrations, including 13 investment treaty disputes, worth a total of more than US$16 billion. The firm has been ranked for many years among the leading arbitration practices in the world by Chambers, Global Arbitration Review – GAR, and Legal500.